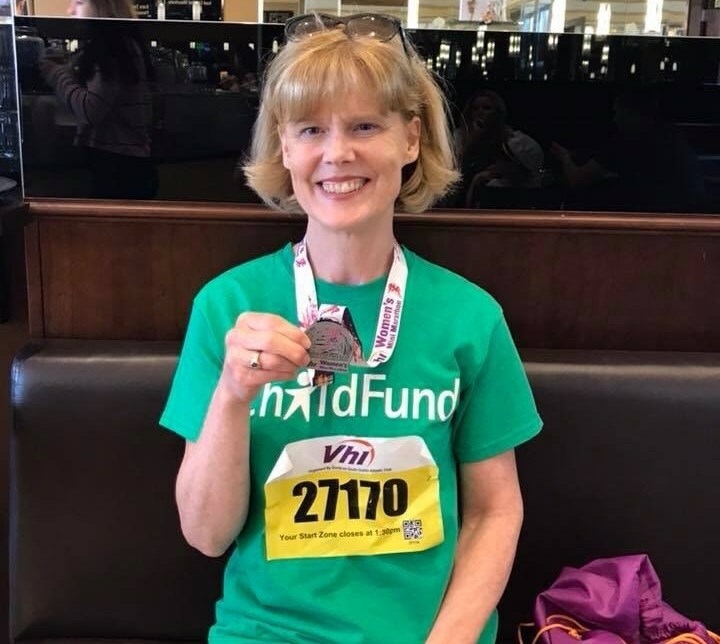 Blanaid Grumley Traynor in ChildFund-T at the VHI Dublin Mini-Marathon, Sunday 3rd June, 2018. For those running a marathon in Ireland, perhaps the two most traditional concerns are exposure to wind, rain, or both! 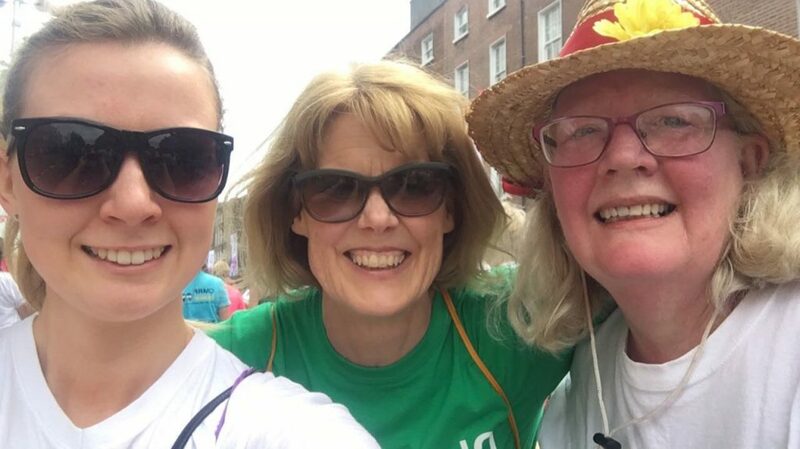 Not so last Sunday, when for the 30,000 plus women who ran the VHI Dublin Mini-Marathon (the biggest race of its kind in Europe), the main issue was Mediterranean-style heat! Blanaid Grumley Traynor was one of the dedicated participants to push through the pain barrier and battle the heat, both for personal achievement and to support great charitable causes. We were delighted when Blanaid told us she wanted to run this years mini-marathon in support of our Dream Bike initiative for girls in the developing world. As a child sponsor herself, Blanaid knows only too well how important it is to support children in the developing world and the positive impact it can have on their lives. Her own sponsor-child, Rungthiwa, a girl from a rural village in Thailand, has benefited from Blanaid’s compassion and support since she first started sponsoring her in 2005. The €800 Blanaid has raised as a result of running the Mini-Marathon will pay for eight girls to receive bikes. The impact this will have on their lives should not be underestimated. A simple gift of a bike can empower girls to have a better chance of completing formal education, help them to attend school more regularly, and ensure they are better protected from potential harm. its a simple, organic idea but one that really works! 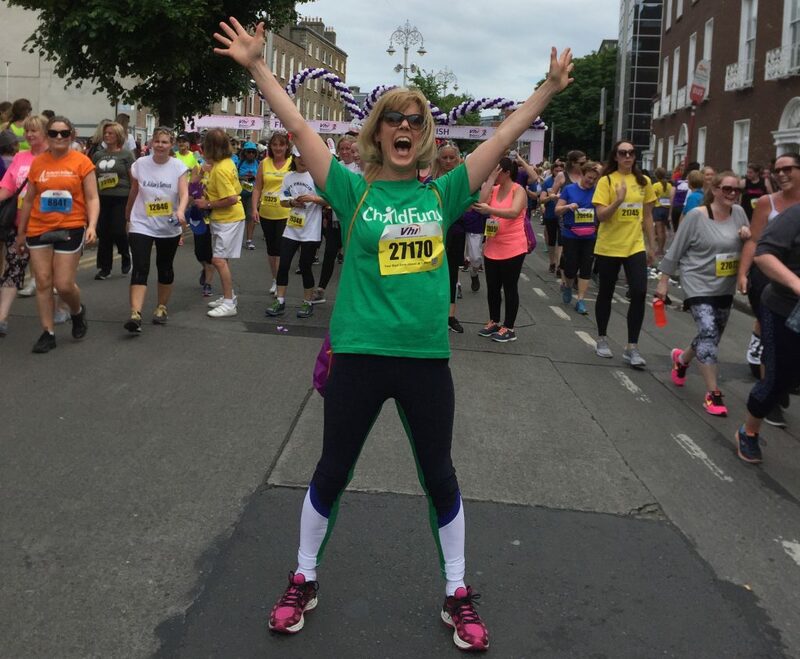 We would like to sincerely thank Blanaid for all the preparation she put in, in the build up to the race, and for collecting sponsorship pledges to help support our work. Her act of thoughtfulness, selflessness and compassion for others, will have a resonant effect on the lives of those girls who receive bikes as a result of her good will.